Strong: 033 - It's Leg Day! Calves, ankles, quads and glutes are the focus for this week’s STRONG workout. 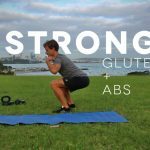 This entry was posted in Strong Workouts, Uncategorised and tagged exercises for runners, Hayden Shearman, leg, strong. Bookmark the permalink.